Royal Farms is a privately-owned convenience store chain that offers basic grocery items, beverages, candies, chips, bagels, donuts, and lottery tickets. They also serve fresh and hot meals such as chicken, fries, and sandwiches. Royal Farm, founded in 1959 by Baltimore’s Cloverland Dairy, first started as a milk store. Cloverland Dairy was founded in 1918 by Maynard Kemp and his brothers, who started out by delivering milk before opening a milk store. As of March 2015, the convenience store had over 150 locations spread across Delaware, Maryland, Pennsylvania, New Jersey, Virginia. In 2014, they were ranked 53rd in Convenience Store News’ top 100 chains. Benefits provided by the company are contributions to Social Security accounts, 401K retirement plans, health insurance, workers compensation insurance, paid vacation, store discounts, and higher pay during holidays. Royal Farms maintains the freshness and quality of their products. Workers are encouraged by the professional culture and friendly working environment. Customers appreciate both the service and products, which helps to boost the energy of the workers. How old do you have to be to work at Royal Farms? The minimum age requirement for basic entry-level jobs at Royal Farms is 18 years old. For management and distribution positions, the age requirement is higher, and will vary depending on the position. The convenience store is steadily expanding and with their 24-hour operations, they are constantly in need of employees who can provide excellent service to customers any time of the day. Some positions are in food service, customer service, maintenance, and management. Customer Service Associate: A Customer Service Associate is primarily responsible for providing support to the store by assisting with customer-related matters. Duties include greeting and assisting customers, being knowledgeable about the store’s products, operating the cash register, handling payment transactions, maintaining the cleanliness of the store, stocking and replenishing products on display, and addressing customer feedback and concerns. Food Service Associate: A Food Service Associate is primarily responsible for carrying out all kitchen-related tasks. Duties include preparing and handling food according to company specifications, serving quality and fresh food, stocking and arranging products on shelves, complying with safety and security procedures, and providing excellent customer service. Barista: A Barista is primarily responsible for providing efficient food and beverage service. Duties include greeting and assisting customers, taking orders, efficiently preparing and serving hot/cold beverages, following company specifications and recipes, maintaining the cleanliness of the store, and stocking and arranging products on the display racks. Customer Service Leader: A Customer Service Leader is primarily responsible for assisting with the store operations and handling all customer-related issues. Duties include providing customer assistance, ensuring that all employees are delivering excellent customer service, addressing complaints and issues raised by customers, and gathering and analyzing customer feedback. Food Service Leader: A Food Service Leader is primarily responsible for managing all aspects of the food and beverage section. Duties include leading all food service programs, complying with company regulations on food handling and preparation, supervising food service crew, managing the inventory, and ordering supplies. Shift Leader: A Shift Leader is primarily responsible for overseeing the store and carrying out specific shift-related tasks. Duties include overseeing the crew during different shifts, transitioning to the next shift, monitoring food production, providing customer assistance, and maintaining the cleanliness of the store. Facilities/Maintenance: The Facilities/Maintenance position is responsible for supporting the team by performing maintenance tasks. Duties include receiving, storing, and stocking product deliveries, arranging the store display and shelves, maintaining the cleanliness of the store, checking the cleanliness and working condition of facilities and equipment, and reporting all damages to the management. Inventory Crew Auditor: An Inventory Crew Auditor is primarily responsible for overseeing the inventory. Duties include scanning and entering all item codes, accurately counting and recording items, working in the area designated by the supervisor, and tagging sections for review by the management. Assistant Store Leader: An Assistant Store Leader is primarily responsible for assisting with the daily operations of the store. Duties include hiring and training new employees, implementing the company’s policies, monitoring and analyzing business processes, and implementing strategies to drive maximum sales and profit. Store Leader: A Store Leader is primarily responsible for leading the daily operations of the store. Duties include following safety and loss prevention policies, hiring and training employees, monitoring the sales performance of the store, overseeing marketing programs, networking and communicating with communities, and maintaining the cleanliness of the store and working condition of facilities and equipment. To apply, you may directly visit the store where you wish to work and inquire about available positions and to submit an application. You may also submit an electronic application through their official website. Both in-store and online applications are accepted. For online applications, visit their website and go to the Careers page. From there, create an account, browse through the job postings, and apply directly by clicking the given link. Applications require your basic information and essential data regarding your employment eligibility. Also, you must answer questions related to the job you are applying for and must answer and pass a pre-employment test that contains basic mathematical questions. For your resume, highlight your skills and work experience relevant to the position you are applying for. Employees with experience in food and customer service are more preferred. During the application process, you must leave a good impression by showing enthusiasm and dedication for the job. Also, project a friendly and energetic attitude since employers want someone who can interact well with customers. 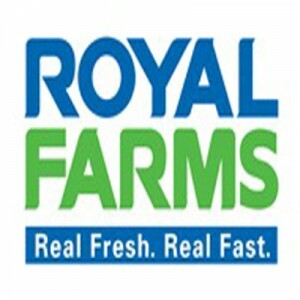 Royal Farms is all about real, fresh, and fast products and services. They constantly work to improve their service in order to provide their customers convenient and quality food. In 2013, the store became the largest sponsor of the Adopt-a-Highway program. They are one of the first participants of this program that started in 2007. In 2014, they won the award for most miles cleaned in Maryland. The convenience store is known for their famous house-made fried chicken and chicken sandwiches. They are highly acknowledged for providing flavorful, crispy, and fresh chicken, given that they are not a formal dining chain. The company is involved in numerous social efforts such as adopting green and sustainable practices and donating to the Hampden Family Center, the Maryland Zoo, the Living Classroom Foundation, and St. Francis Neighborhood Center. 1 How old do you have to be to work at Royal Farms?